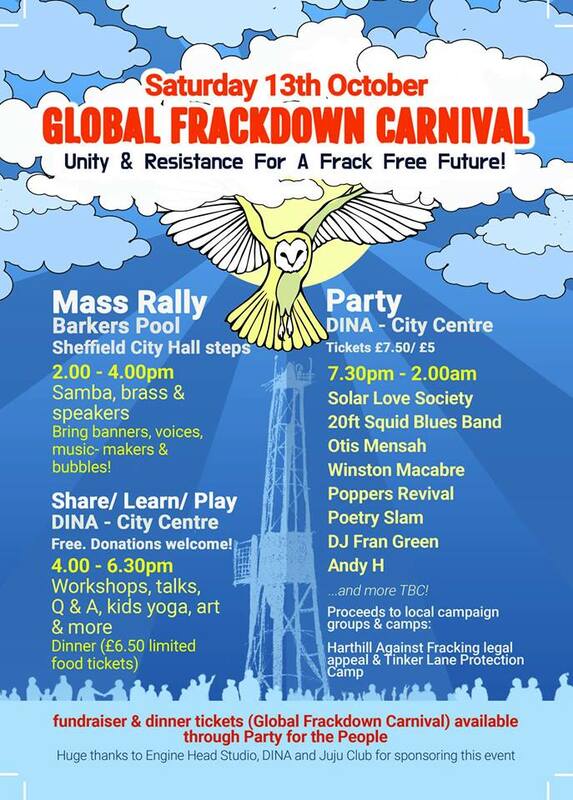 We helped out with a Sheffield Against Fracking stall at Sheffield Fayre in Norfolk Park on 27th August and again at Ecclesfield Gala with newly formed Frack Free Ecclesfield and Chapeltown the following weekend. There was a debate on Fracking in Parliament where local MPs contributed supporting FoE's call for the erosion of local decision making in this matter to be stopped "Let Communities Decide". Two very significant meetings were held on 27th September. Thanks go to Jack Scott , cabinet member on Sheffield City Council, for bringing activists and councillors together at lunchtime at the Crucible Theatre's Adelphi Suite to discuss presentations from Rob Murfin, SCC's Chief Planning Officer, Dr Ian Fairlie and John Busby on aspects of fracking that could directly impact on Sheffield should this hideous industry scale up. In particular, the problems of effectively regulating potential contaminants, including radiation and the associated health risks. Dr Ian Fairlie addressed a meeting in High Green in the evening answering questions from local residents and anti-fracking campaigners from many groups. It is hoped that Dr Ian Fairlie will give further talks on this matter to local groups in the near future.